Sit back and enjoy your special day while we serve your guests! When your event demands the services of an experienced, professional bartender, call Bartending Services by Mr. Carol, Inc. We’ve been expertly mixing cocktails for decades, making sure guests at any event are completely satisfied when they visit the bar! We’ll work events of all types and sizes, providing the social lubrication to make sure everyone is having a great time. We’re available for any event, from weddings and birthdays, to corporate events and charity fundraisers. We tailor our services around the unique atmosphere of your event. Our bartending services are versatile! From cash bar to open bar, no matter how many people are in attendance, we work around your needs. We have more than 35 years of experience and can mix up just about any cocktail you order. See us for ‘the usual’ and we promise a delicious drink! Don’t forget to ask about discounts for active duty military service members and non-profit organizations! If you’re celebrating, make sure you’re raising a glass! The bartenders at Bartending Services by Mr. Carol, Inc. will put a craft cocktail or glass of bubbly in your hand you’re sure to enjoy, making the evening and your celebration that much better. We provide everything you expect from a high-class bartending service in New Hampshire: from a huge selection of popular spirits, to glassware and cups and more. And, with true expert bartenders manning the pours, you’re guaranteed a delicious drink each and every time you visit the bar. We’ll mix up just about anything, from a classic vodka tonic to a tasty gin martini. Whatever you call ‘the usual’ is fine by us! 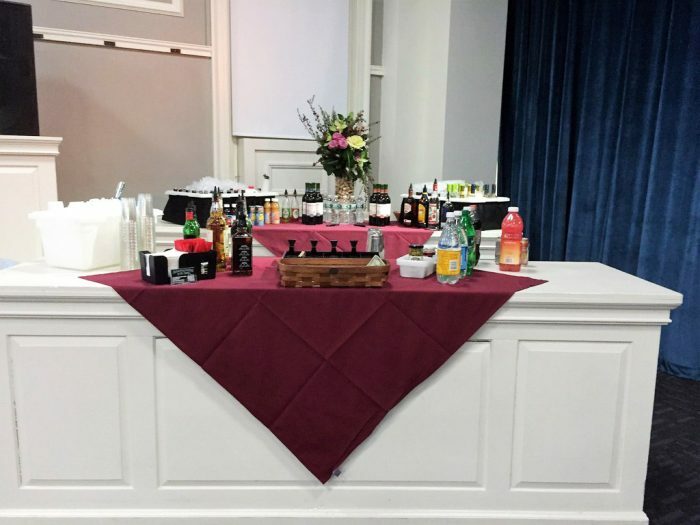 Our bartending services in New Hampshire are available for any event you might be celebrating, whether it’s a birthday party, wedding, retirement party, corporate event or charity fundraiser. Whatever it is you’re celebrating, we’ll be ready to tailor our bar packages around the logistics and budget of your event—from cash bar to open bar, no matter how many people are in attendance. We’ll even take the time to set up our stations in accordance with your venue—we’ve worked some of the most popular venues in the area and know our way around well! if you’re planning an event, be sure to give us a call and make sure your bar needs are met, fully and completely. Make sure your guests have a drink in-hand and a smile on their face at your next event. Contact us today to hire professional bartenders, guaranteed to serve up great-tasting cocktails. We’re licensed with the New Hampshire State Liquor Commission and are TIPS Certified.